Candy (and lots of it), is probably the biggest reason our kids are excited for this Halloween. 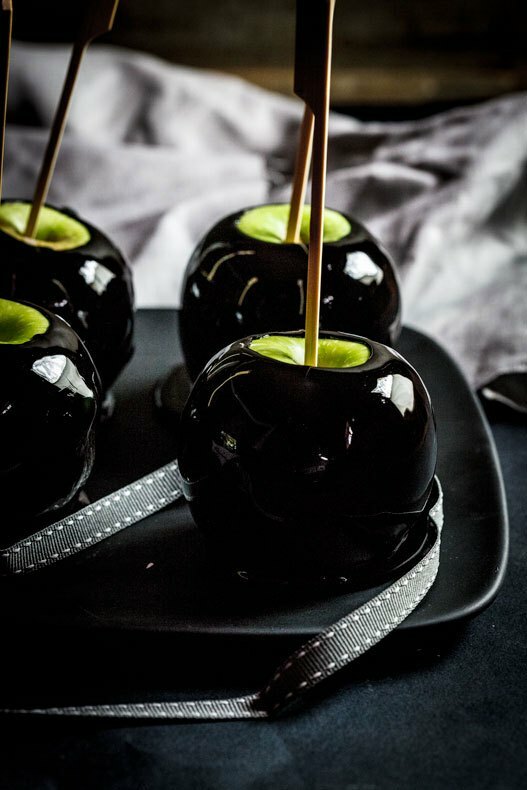 If you’re keen to get your home in the festive spirit with a bit of Halloween-themed food prep, or even if you’re keen to swap sugary treats with some healthier Halloween options, here are some awesome treats and recipes to give a go. How cute are these little ghosts?! And not too bad for kids, either. Heat some white chocolate and dip strawberries in so they are thick and coated. Lie them on a platter with grease proof paper and let the end of the chocolate drip and melt down the bottom (to make the squiggly ghost-like tail). Use choc chips for the eyes and mouth and place on before the chocolate has set. 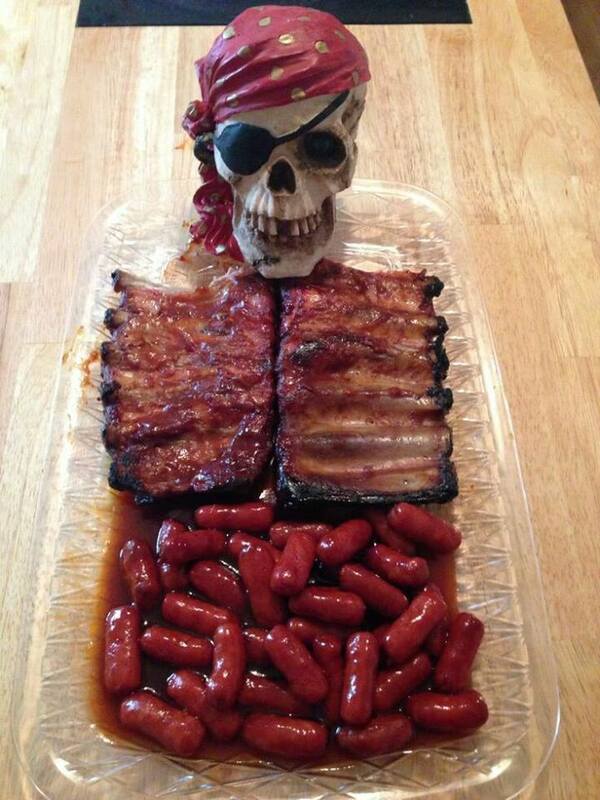 Put the platter in the fridge. Check out the full recipe by Miss CANDIQUIK here. 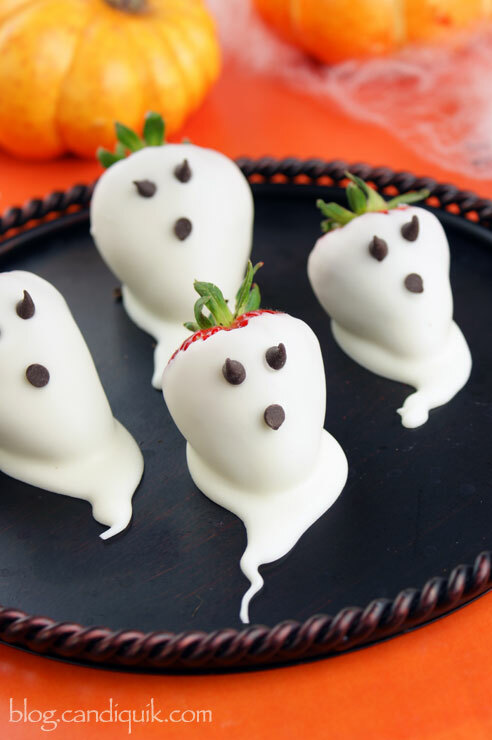 Similar idea to the adorable strawberry ghosts! 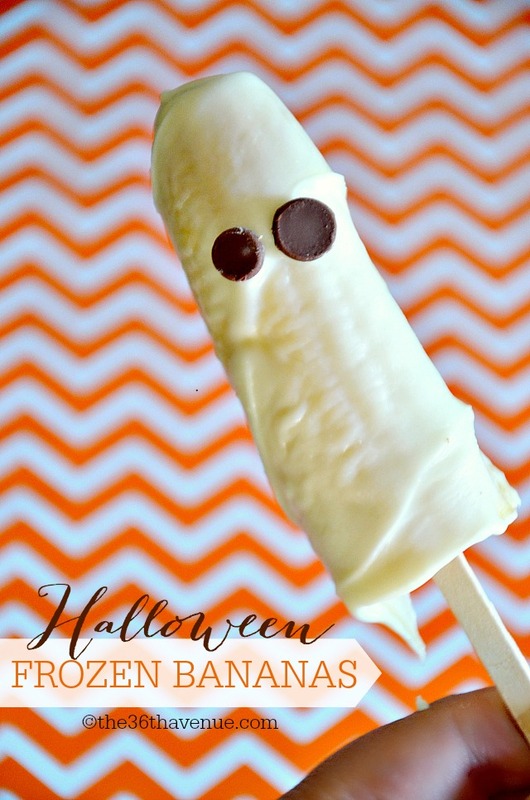 Put a paddle pop stick through the bottom of a peeled and halved banana. Dip in melted white chocolate. Place choc chip eyes on the banana before chocolate sets. Put in the freezer for a few hours. Check out the full recipe by The 36th Avenue. Keeping it nice and simple! 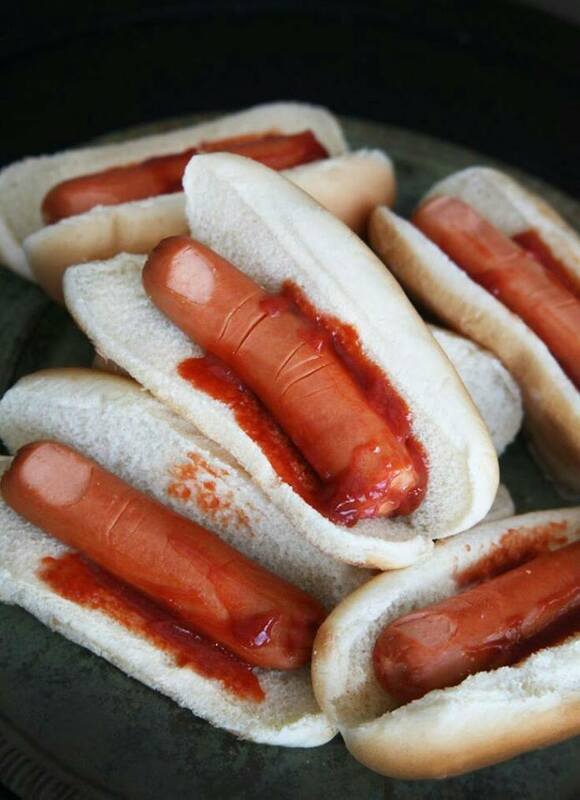 A little cocktail frankfurt in a white bun with some bloody tomato sauce is enough to give you the creeps! 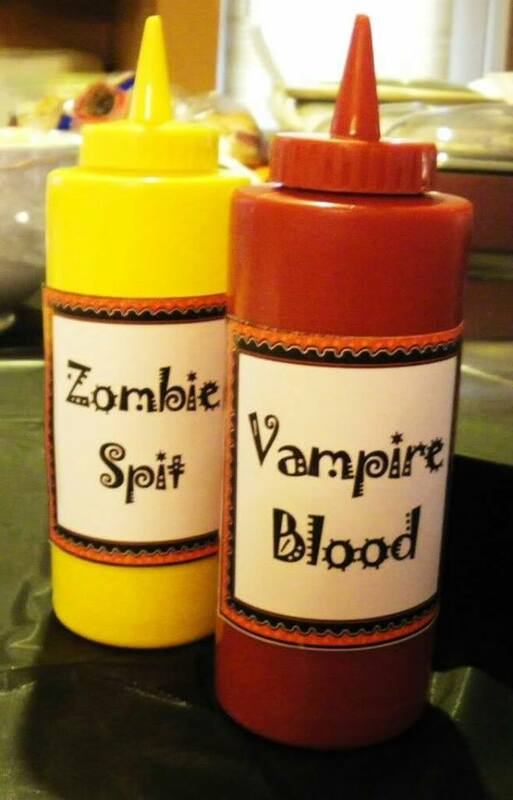 Maybe label some mustard and tomato sauce bottles to add to the affect. If you can find some plastic cups with jack-o-lantern markings on them (or stickers to decorate), then make these awesome Fanta spiders! A scoop of vanilla ice cream and some splashes of Fanta soda will do the trick. 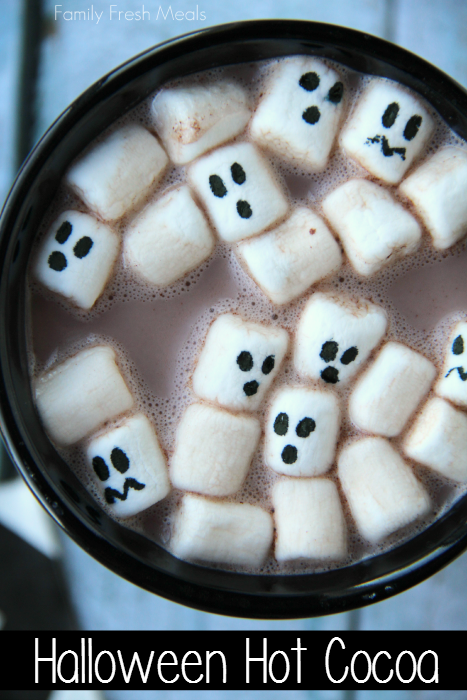 Decorate a normal hot chocolate with white marshmallows and draw ghost faces on them with a food colour marker pen (not a normal permanent marker!) Easy and delicious. Check out the full recipe at Family Fresh Meals. 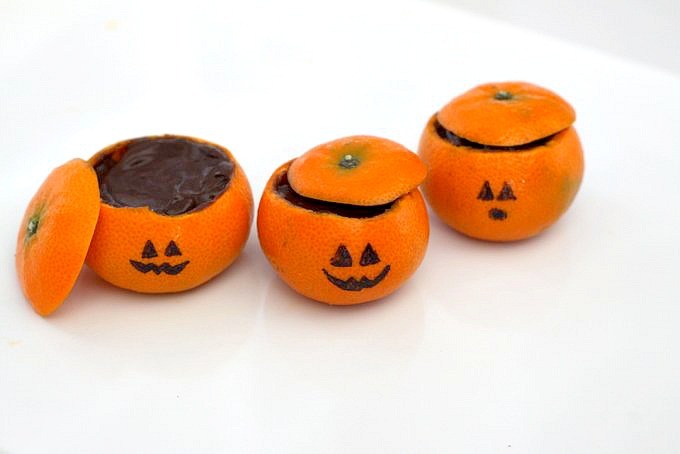 Draw a ghostly face on a mandarin, hollow out the flesh, and fill with chocolate pudding which you can make as healthy or sugary as you like! Check out the full recipe at Foodlets. 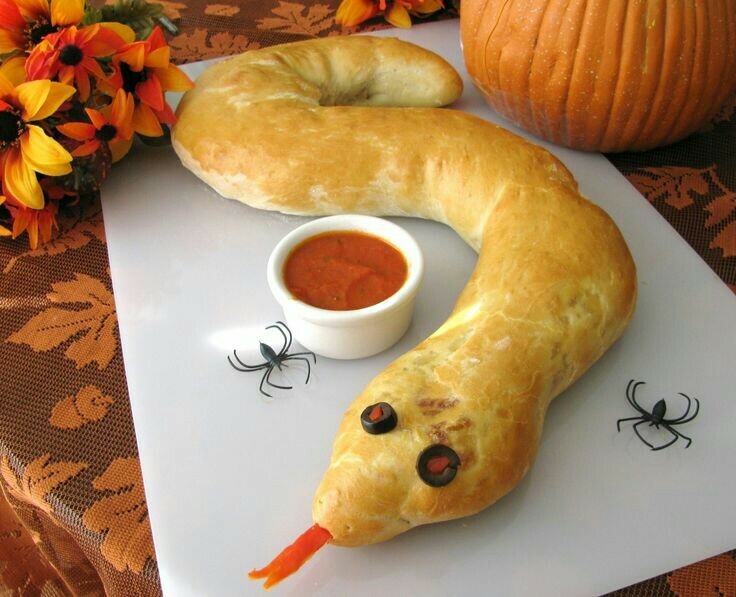 Another healthier Halloween alternative! 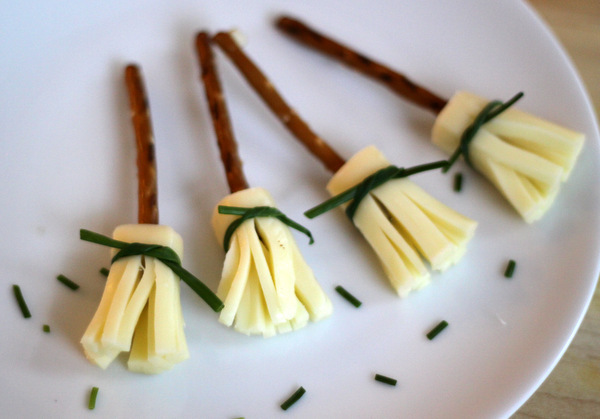 Cut a cylinder of string cheese (like a Bega stringer) in half, and separate the ‘broom bristles’. Stick a pretzel or bread stick through the middle, and tie the top of the cheese with a piece of chive. Check out the full recipe at Foodlets. 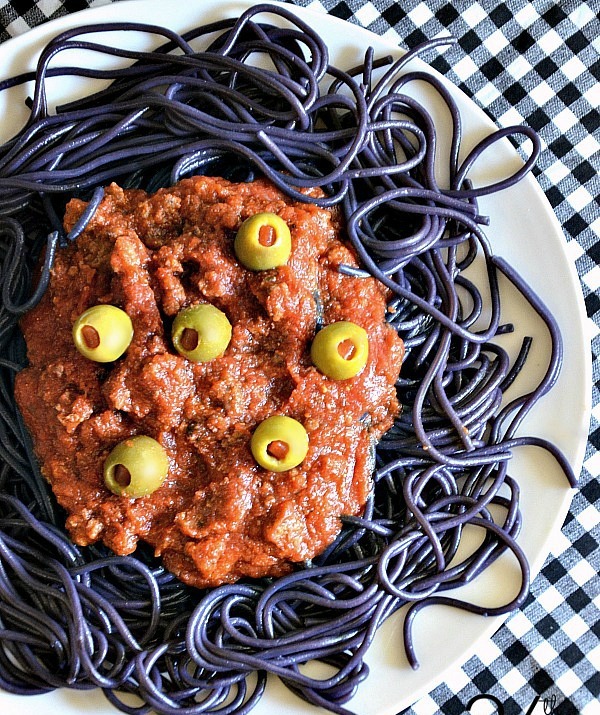 This one totally looks like a spooky Halloween treat, but with none of the nasties! 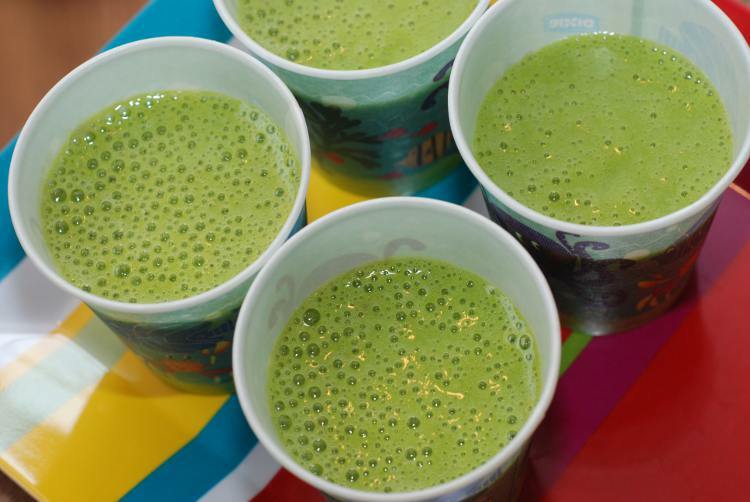 Blend bananas and any frozen fruit you like with either water or milk: and don’t forget a handful of spinach to get that green colour! Tell your kids it’s goblin blood. Check out the full recipe Real Mom Nutrition. 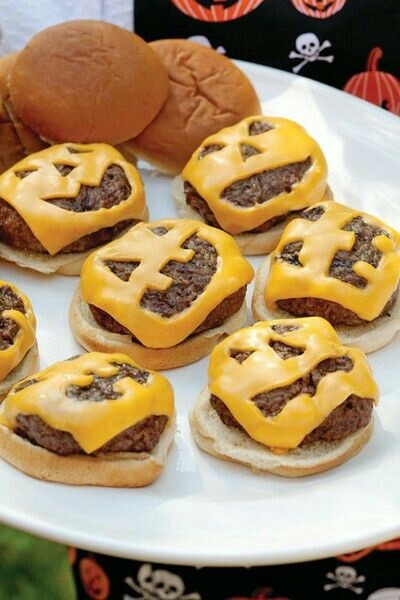 Over a burger patty, cut ghoulish shaped faces into slices of cheese! With all the chocolate and lollies going around on Halloween night, it might be good to entice your children with something both spooky and substantial.